CAD-Earth is designed to easily import/export images, objects and terrain meshes between Google Earth™ and Autodesk® AutoCAD® 2017-2019, and create dynamic contour lines and profiles. What can I do with CAD-Earth? Export terrain meshes from Google earth to Autodesk® AutoCAD® Civil 3D®. Now you can export a CAD-Earth terrain mesh (imported from Google Earth) to a LandXML file, which can be imported by Civil 3D and other software products to create surfaces. Preview position of selected drawing entities in a map when selecting a coordinate system to georeference a drawing. Drawing entities can be moved, scaled or rotated in the map until they match the site. Process images up to 10x faster from different providers (Google, Bing, Yahoo, Ovi) in satellite, map or hybrid image mode in normal, medium, high or highest resolution. New map control where you can preview drawing entities in the real world. You can move, scale and rotate reference entities in real time until they match the exact location. Avoid misplaced images or objects using new commands to georeference a drawing by locating entities in a map or selecting two points and typing their latitude/longitude coordinates. The command to import terrain mesh from Google Earth has been greatly optimized for speed and performance. 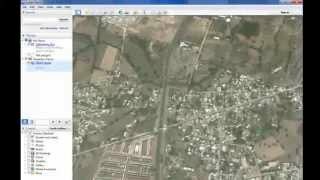 Import Google Earth™ objects to CAD Insert georeferenced images. If you have image files with the corresponding world file containing spatial data information you can accurately place them in the drawing automatically applying XY scale and translation transformations. Cross section from mesh Profile. More than 3000 supported coordinate systems worldwide free 30-day trial available. ***VERSION 5.1.21 01/30/2019*** Added an internal function to check that VLAX functions are loaded correctly in AutoCAD at AutoCAD startup. Have used CE for the last 3 years now. Up until Nov 2018, no issues. Bought new verision and now cant save geolocation info. Placed images from dif region. And when I manually reset geo info, still off 30 feet x 600 feet. Been dealing with Tech support blowing me off for 3 months now. Im done. Requesting a refund.. See how that goes. me es necesario instalar esta APP ? aun no lo he probado recién lo he descargado, sin embargo al comprobar que si nos funciona en la empresa, pues trabajamos con terrenos para lotifiaciones y otros por lo cual es muy necesario ubicarlos conforme a coordenadas geodésicas requisito previo de entidades de gobierno la pregunta es ¿no tendría inconvenientes para hacer el uso antes descrito y cada cuanto se actualiza? Very badly integrated with autocad 2014 (when you start the toolbar (this is what it is), it opend autocad once again, doubling up the RAM usage. Not easy to use, bad graphics, not intuitive. Es lo mismo que civilCAD, lo único que no da son capas. Hola Alejandro, si deseas comprar CAD-Earth en línea, por favor visita el siguiente link: http://cad-earth.com/es/comprar/ o si prefieres comprarlo mediante otro método de pago, escríbenos al correo support@cad-earth.com. Gracias. ¡Es un aplicación rápida y fácil de utilizar! por favor me podría detallar mas del "Clave de Sitio" (Administrador de Licencias) para seguir utilizando el programa que es muy bueno. Le agradesco de antemano. Hola, en la nueva versión 4.0 hubo una gran mejora de velocidad de procesamiento de imágenes y las mallas de terreno. Te invitamos a descargar nuevamente el demo. Si necesita más tiempo de evaluación con gusto le otorgamos una extensión a su demo. I downloaded the trial and had some small issues regarding the import of images from Google Earth, which turned out to be a fault on my part because I didn´t select the correct coordinate system to start with and had my units in meters instead of feet. Technical support replied promptly to my email and even gave me remote support via Teamviewer and in a few minutes all was resolved. could you please post what the fix was? This is a GOOD one!! I have tired virtually all of the functions, importing from Google Earth and exporting to Google Earth and have found them to work exactly as expected. Watching the app access Google Earth, import an image and then trim the image to my boundary polyline automatically is nice. I was able to export objects to AutoCAD objects to Google Earth effortlessly and then create a kmz to send to my client with the objects nicely overlaid. I'm very pleased with this app and have purchased a permanent license. The license activation could be made a little bit smoother, but the functionality deserves all 5 stars. Also full marks for tech support as I received a timely answer to a question that I submitted. What is it supposed to do?? Tried to import a google image; the dialogue is fairly simple to understand, but after going through the steps, I got a picture with a blue background with "evaluation copy" written all over it. I get the watermark, since it is a trial, but both times I tried it making sure I had the right coordinate system, the background was always blue, which makes me believe I hit water both times, instead of where I was supposed to be.